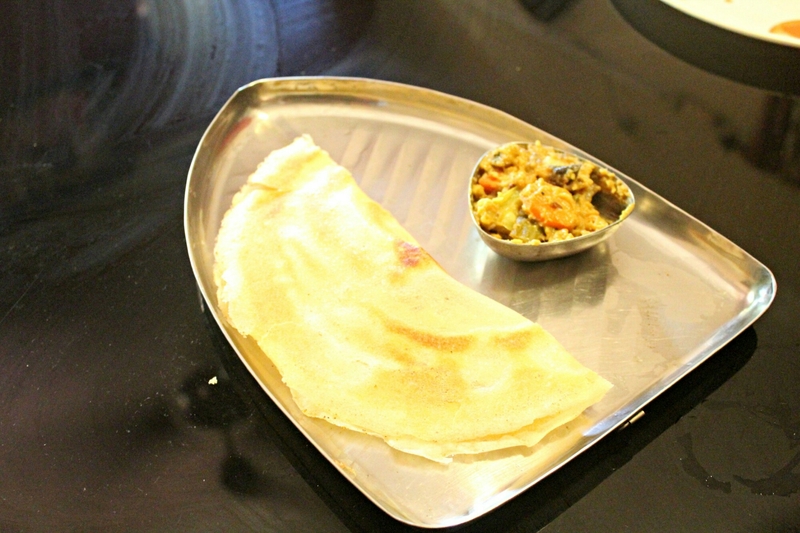 Wheat flour dosai also known as gothumba dosai is a common south indian dosai. It is very easy to prepare.I have added soy flour, cabbage and kasuri methi to increase its nutritive value. Easy to prepare. serve hot or else it may become soggy. Cabbage : Finely chopped 3 tbs. Mix wheat flour, soy flour and salt first. Now add water to this mixture make as dosa batter without any lumps. Heat oil and add the mustard and dhal when it splutters add green chillies,onion and curry leaves.when onion becomes transparent remove from fire add to batter. Now add chopped cabbage , asafoetida,methi and chopped coriander leaves also. Heat dosa tawa.Pour batter in a circular motion and smear some oil around it. If you want thick dosa add little water or if you want thin dosai add more water. Serve hot with chutney.All my family members like this dosai very much you too try and let me know. Can prepare this dosai even without adding soy flour. soap.For denser ones can scrub some lemon and wash the stain with some soap . with warm and soapy water and rinse well. Lemon juice or salt can be used to remove these stains. Dip the stained clothes for about 1/2 an hour in turpentine oil and wash them away with soap. Make a paste of water and soap and rub it on both sides of the stained cloth.When dry pout hot water on the stains from a height of 2 mts. 2.To it add all the left over curries. 3. After few minutes when it starts to boil add 2 or 3 tablespoons of gingelly oil/sesame oil. 4.When it thickens remove from fire. When cool can refrigerate.Can use for 3 or 4 days. Can be eaten with dosai or mix with plain rice or stuffed inside dosai just like masala dosai or best as side dish for curd rice. My daughter likes it.Try this and let me know.